ParkVia offers Venice Mestre station parking located only a few minutes by walk from Mestre station and offers a great choice for a safe and convenient parking spaces. Venice Mestre station parking has open air and undercover parking spaces and accepts motorbikes and cars. Our car parks at Venice Mestre train station are also safe. Your car will be monitored the staff on site, so you can travel without any worries. Book your parking space at Venice Mestre station parking, you will receive a reliable service. Venice Mestre is one of Venice's two most important railway stations and it is always open and people can pass by also at night, to get on one of the few night trains or to use the underpasses between Mestre and Marghera. 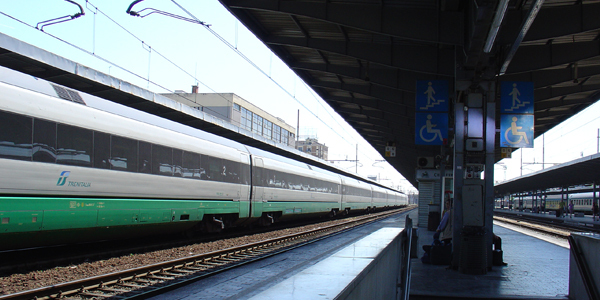 Venice Mestre is a crucial part of the railway system of the north east of Italy. An important port for both freight and passengers, it has approximately 500 trains and 85,000 passengers each day.